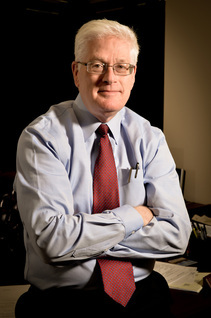 Strong legal advocacy for individuals and families in Cabarrus County for 35 years For 35 years, Attorney Randall F. Hasting has helped individuals, couples and their children in Cabarrus County, North Carolina deal with sensitive, emotional family law issues and their financial consequences. He takes this responsibility very seriously because he knows how the outcomes of these family law matters shape your future. Whether you are ending your marriage, negotiating a child custody agreement, working out alimony or trying to adopt your stepchild, Mr. Hastings provides sound legal counsel and timely, cost-effective representation to get the best possible results for you. Mr. Hastings uses his in-depth knowledge of North Carolina family laws to explain how the state's statutes apply in your case. Recognizing that every family situation is different, he focuses on understanding your specific needs and applies his 35 years of experience to help you decide on an appropriate strategy, whether that is settlement or trial. He always attempts to negotiate a settlement that is in your best interests. When a successful settlement cannot be reached, he thoroughly prepares the case for trial and aggressively defends your rights, interests and family. Mr. Hastings can advocate for you and your family in the following matters: Divorce Dissolution is the legal termination of a marriage. Dissolution actions can be uncontested or contested. Mr. Hastings provides you with experienced guidance and aggressive representation in your divorce case. Alimony and post-separation If divorcing parties cannot agree in writing about spousal support or alimony, then the court awards it, if warranted. Mr. Hastings helps you receive the most favorable outcome. Child custody and support Mr. Hastings negotiates parenting and visitation and support agreements in the best interest of your children. When an agreement cannot be reached, he advocates for you in court to achieve your goals. Successfully serving Cabarrus County clients The Law Office of Randell F. Hastings represents individuals, couples and families in Concord and throughout Cabarrus County in North Carolina. Put an experienced North Carolina family law attorney on your team. For experienced representation on your family law matters, call The Law Office of Randell F. Hastings at 704-786-4567 or contact the firm online to arrange a free initial consultation. Protecting your interests in the divorce process from start to finish The dissolution of your marriage is an emotional and stressful event. Randell F. Hastings looks out for your best legal interests so you can concentrate on the well-being of your family. He is a skilled divorce attorney with 35 years of experience fighting for his clients' rights in all aspects of divorce, including: Child custody and visitation rights Child support Distribution of personal property, bank accounts, stocks and other assets Division of marital debts Sale or possession of the marital home Spousal support and temporary support An effective family law mediator Mediation gives you and your spouse a structured forum in which to negotiate a divorce settlement. The mediation process fosters cooperation between separating partners and lessens the stress and hostility usually associated with litigation. Mediation often reduces the length of time required and the costs of divorce, too, and puts the decisions in your hands. Mr. Hastings is an experienced negotiator who guides the divorce process so you obtain the most favorable divorce settlement, a fair child support agreement and a healthy child custody arrangement. An assertive family law litigator If going to court becomes necessary, having a strong litigator at your side is vital in order to protect your rights during your divorce. Mr. Hastings zealously prepares for trial and fights for your rights at every stage of the adversarial litigation process. His assertive approach alleviates some of the uncertainty and stress and helps you obtain the most favorable trial outcome. Using strategic trial tactics and his commanding courtroom presence, Mr. Hastings successfully represents clients throughout arduous litigation. Contact an aggressive family law attorney in Concord, North Carolina. Call The Law Office of Randell F. Hastings at 704-786-4567 or contact the firm online to schedule your free consultation.